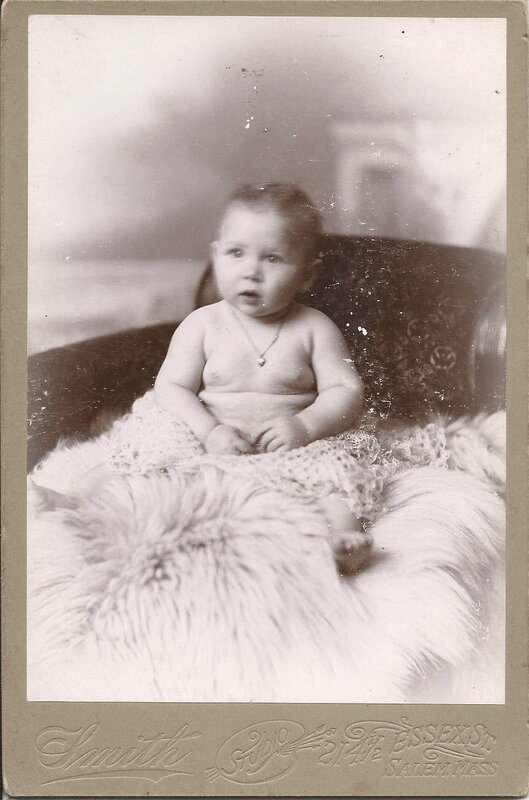 Photograph of nine month old Ethel Louise Sawyer, taken by the Smith Studio of 214-1/2 Essex Street at Salem, Massachusetts. Ethel Louise Sawyer was born 13 March 1898 at Salem, Massachusetts, daughter of Fred E. and Susan L. (Bearse) Sawyer, born in New Hampshire and at Guilford, Maine respectively. I've seen records with the Bearse name spelled as Bearce. Ethel's paternal grandparents were Robert G. and Lydia A. (Newbegin) Sawyer. 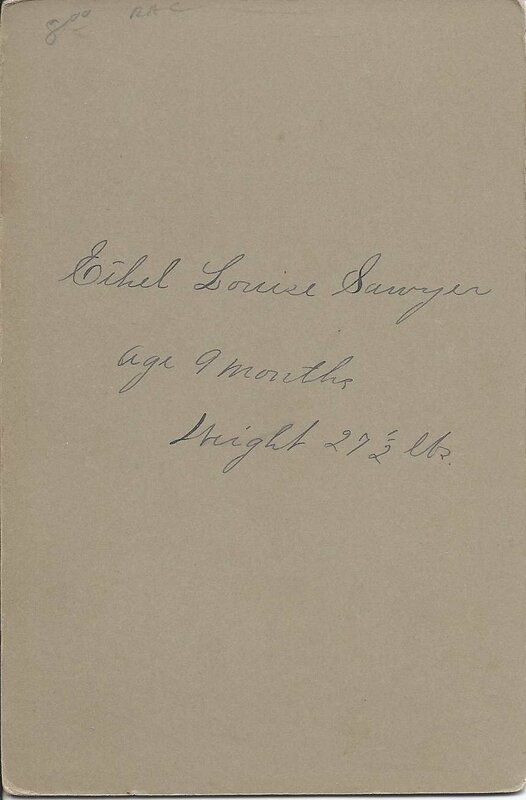 Her maternal grandparents were Calvin B. and Sarah Fanny (Oakes) Bearse. 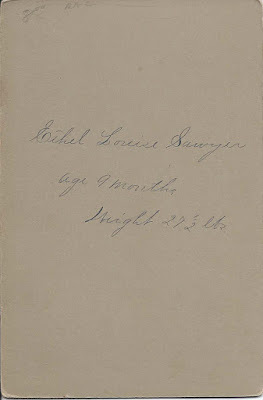 If you have information on the later life of Ethel Louise Sawyer, please leave a comment or contact me directly.